I find it difficult to evaluate albums of religious music, for the usual criteria really don’t apply. To start with, not all country music fans/listeners are necessarily Christian or even theistic, although a majority of country music listeners (and an even larger majority of bluegrass fans) are Christian. There simply will be a percentage of fans for who this music will be of no interest whatsoever. Moreover, the concept of whether or not a song would make a good single for the artist is a really mundane consideration. I don’t that Loretta had any great expectations about commercial success when she recorded this album. Country artists of this era simply recorded religious music because their fans expected it of them and because they felt an inner need to record the songs of praise and salvation. The fact that some of these albums charted was a bonus, and this album reached #10 on the country charts. This was Loretta’s first Gospel album of her career, although it would not be her last. The album was a mixture of a dozen Gospel and Inspirational music songs that had enjoyed sustained popularity over the years and few newer songs written by Lynn or other Nashville writers. Hymns catches Loretta Lynn at the absolute peak of her vocal prowess. Her clear bell-like voice was ideally suited for these songs and the ‘Nashville Sound’ trappings do not detract from the songs. My copy of this album is on a cassette, so the song order as I have it may differ from the vinyl or CD versions of the album. The album opens with a Loretta Lynn composition “Everybody Wants to Go to Heaven”, a good song that Alison Krauss & the Cox Family covered nearly thirty years later. This is followed by a Mosie Lister song that has become a Gospel standard “Where No One Stands Alone” and the traditional “When They Ring Those Golden Bells”. “Peace In The Valley” has been one of my favorite songs since I heard Red Foley sing it on network television back around 1959 or 1960. Loretta does a fine job with the song, although I would still recommend Red Foley’s version as the ultimate recording of the song. As you can tell by the song selections, Loretta breaks no new ground with this album. By Loretta Lynn standards Hymns is a rather sedate album, although well performed. It is nice to hear “How Great Thou Art” performed without it becoming an exercise in how long the final notes can be held without the singer collapsing from asphyxiation. I am not going to give a letter grade to this album. If you are a believer and a fan of country music you should enjoy this album. If you are a non believer, you might not like this album, but then again, a non-believer Loretta Lynn fan might find this a worthwhile acquisition anyway. Loretta Lynn would go on to record a number of other religious albums. These subsequent albums would be more rambunctious and exhibit more of Loretta’s personality. I would recommend listeners check out Who Says God Is Dead? Bobby Lord was a genuine country music star in his time, one whose career could not duplicated in today’s environment. Consider this: Columbia issued 18 singles on Bobby Lord without ever releasing an album. Of these singles, only his seventh, “Without Your Love,” released in 1956, charted on Billboard’s Country Chart (reaching #10), though most of them sold very well in the South, with several becoming huge sellers. Since the charts prior to 1958 went only 15-20 places deep and Lord’s records were selling only regionally, it’s not surprising that they didn’t chart. Despite this, several of the records sold over 250,000 copies, with “Hawkeye” (written by Boudleaux Bryant) being the biggest hit, although “Swamp Fox” and “Pie Peachy Pie” are also well remembered–all of Lord’s Columbia singles fetch high prices from collectors. Bobby Lord was born in Sanford, Florida (between Orlando and Daytona Beach) but grew up in the Tampa area where he began his career as a teenager. While a freshman at the University of Tampa, he starred in his own television show, The Bobby Lord Homefolks Show, which ran for an hour on Saturday nights. From there he landed a guest appearance on Paul Whiteman’s TV show in New York. For those not familiar with Whiteman, he was the biggest recording star of the 1920s, from whose band such future stars as Bing Crosby, Jack Teagarden, Bix Beiderbeck and Tommy Dorsey emerged. In 1953, songwriter Boudleaux Bryant gave an assist to Lord’s career by playing a tape of his recordings for Don Law at Columbia records, who signed Lord to the label. As mentioned previously, Lord recorded several regional hits in both the rockabilly and country idioms. At the same time, he became a regular on The Ozark Jubilee (ABC television show starring Red Foley, based out of Springfield, Missouri), where he stayed for five and a half years. 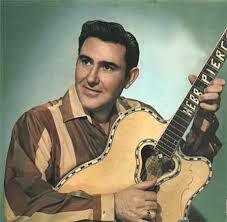 Lord also made his first guest appearance on the Grand Ole Opry in 1954 and appeared occasionally thereafter. After his Decca contract expired, Bobby Lord more or less retired from the music business, returning to his native Florida to sell real estate. When The Nashville Network (TNN) came into being, he hosted Country Sportsman (later called Celebrity Outdoors) and made occasional guest appearances on other TNN shows. After 1990 Lord was largely retired from show business. The Big Four labels through the “Classic Period” of country music history (roughly 1950-1980) were, in order, Columbia/Epic, RCA, MCA/Decca and Capitol. Capitol was the smallest of the labels of the Big Four, with a shallower roster of artists, but during the period 1963-1972 Capitol had three artists who dominated in #1 records – Sonny James with 21 #1s, Buck Owens with 19 #1s and Merle Haggard with 13 #1s (according to Billboard). Yes, I know that all three artists had Billboard #1 records outside this decade, which ends when Sonny James left Capitol to sign with Columbia. Sonny James is largely forgotten today, since when he retired, he really meant it. The raw numbers compiled by Billboard disguise the level of his success – Joel Whitburn has him as the #12 artist of the 1960s and the #10 artist of the 1970s but as of year-end 1997, Whitburn had Sonny James as #18 all-time. As of 2008, Whitburn still has him ranked at #22 all-time. Sonny James ranks ahead of many famous performers including Tanya Tucker, Kenny Rogers, Porter Wagoner, Tammy Wynette, Don Williams and Garth Brooks. Born May 1, 1929 in the agricultural town of Hackleberg, Alabama, James Hugh Loden grew up in a musical family, singing with older sisters in the Loden Family group. While still a teen, Loden hosted his own radio show in Birmingham, Alabama. By the time James Loden entered the National Guard at the end of the 1940s, he was a seasoned professional entertainer. Although he had already finished his tour with the National Guard, the outbreak of hostilities in Korea resulted in Loden being recalled to active duty in September 1950, where he remained for the better part of two years. Along the way James Loden had become friends with Chet Atkins who introduced Loden to Ken Nelson, famed record producer for Capitol Records. It was Ken Nelson who tagged James Loden with the Sonny James sobriquet, although apparently “Sonny” sometimes had been used as a nickname for Loden. Ken Nelson started releasing singles on Sonny James in 1953. Some of the singles charted (others didn’t), starting with Sonny’s version of a song that Webb Pierce covered, “That’s Me Without You”, which reached #9 in 1953. Sonny would chart four more records through 1956, the biggest being “For Rent (One Empty Heart)” which reached #7 in early 1956. Sonny James was making inroads on television as well, appearing on the Big D Jamboree in Dallas, and on the nationally televised Ozark Jubilee hosting the first thirty minutes on a rotating basis with Porter Wagoner and Webb Pierce (Red Foley hosted the final hour of the show). Sonny’s career song “Young Love” came to Sonny’s attention in 1956 through the recording of one of the co-writers, Ric Cartey. Ric’s record went nowhere but Sonny’s cover shot quickly up the charts reaching #1 for nine weeks in 1957 and reaching #1 on the Pop Charts as well, although Sonny’s recording was eclipsed on the Pop Charts by a note-for-note cover by actor Tab Hunter. Sonny feels that the opportunity for Tab’s cover to succeed came because Capitol could not keep up with the demand for the record. Despite the success of “Young Love” (the flip side “You’re The Reason I’m In Love” reached #6) Sonny’s career did not kick into overdrive, as subsequent singles failed to maintain the momentum. By 1960 Sonny was off Capitol and recorded for NRC, RCA and Dot without notable success. From early 1958 until July 1963, Sonny charted only one single, that on the NRC label, “Jenny Lou”, which just missed the top twenty. Reconnecting with producer Ken Nelson at Capitol in 1963, Sonny’s chart success resumed with some top ten singles. Then in January 1965 Sonny kicked off a run of singles that ran from 1965-1972 in which every single made it to the top three on Billboard’s country charts, a total of 25 in all, including a run in which sixteen consecutive singles made it to #1, a record later eclipsed by Alabama and tied by Earl Thomas Conley (the previous record holder had been Buck Owens with fifteen straight #1s). In reality, the string is more impressive than it sounds. After “You’re The Only World I Know” reached #1 for 4 weeks and “I’ll Keep Holding On” stalled out at #2, the next twenty-three singles would make it to #1 on at least one of the three major charts in use at the time (Billboard, Cashbox, Record World). Sonny’s run of chart-toppers was the perfect blend of a smooth singer with a country sound that did away with fiddle and steel guitar but did not go to the extremes of Countypolitan and Nashville Sound recordings, being (mostly) easily replicated in live performance, and often featuring Sonny’s own excellent guitar playing. The songs were a mix of old Pop, Rock & Roll and R&B covers (13 songs) and original material (12 songs). While the earlier Sonny James hits did feature steel guitar (and he did keep a steel guitar player in his band) most of the later hits featured a guitar-organ, initially played on his stage show by band member Harland Powell. 1) According to Billboard for the decades of the 1960s and 1970s (1960-1979) Sonny’s recordings spent more time in the Number One chart position than any other artist in country music – a total of 57 weeks. 2) Also, according to Billboard, Sonny was the fifth ranking county artist for the two decade period, ranking behind only (in order) George Jones, Buck Owens, Johnny Cash and Merle Haggard. 3) Sonny made more appearances on the Ed Sullivan show than any other country act. For those too young to remember, Ed Sullivan’s Sunday night variety show was “Must-See TV” introducing acts such as The Beatles, The Rolling Stones and Elvis Presley to the American public and Sullivan was one of the first to prominently feature R&B, Motown and country acts on national television. Clive Davis, President of Columbia Records, was a big fan of Sonny James, and lured him to Columbia where he scored his last #1 of the twenty-five song streak with “When The Snow Is On The Roses”. Sonny would score #1 and a handful of top ten records in his six years with Columbia before moving on to other labels. During his Columbia years Sonny seemed to become less interested in hit records and began recording theme-centered albums. In the chart below, the songs during 1972-1973 that charted at 30 or worse were older material released as singles by Capitol after Sonny left the label.